When writing this post about a year ago, I could never imagine that I'll become one of the "ambassadors" of Foursquare in Armenia. Being an early adopter and a geek willing to try everything new, I'm somehow influential in the tech-related things among my friends and they often consult with me for new services and gadgets (like Kindle, Android phones, apps, tablets, geolocation services, etc). Throughout last year, I made a presentation on Geolocation services and Foursquare during the BarCamp Yerevan 2010, appeared on Yerevan.ru promoting Foursquare, and Banadzev production's Interactive program, then my own PanARMENIAN.Net interviewed me about the meetup. It somehow happened that I became the organizer of the annual Foursquare Day meetup in Yerevan (4sq Day). Celebrated on April 16 of each year, Foursquare Day (4sqDay /4 squared = 16, hence 4/16!) is a chance to get out and connect with others in your neighborhood and around the world. I began following the official 4sqDay twitter, read the blog and howto's for organizers to make the most out of the meetup. I created a Facebook event, since it was easier to promote than the meetup page, in our case. I submitted the information about our meetup in the local meetups database. 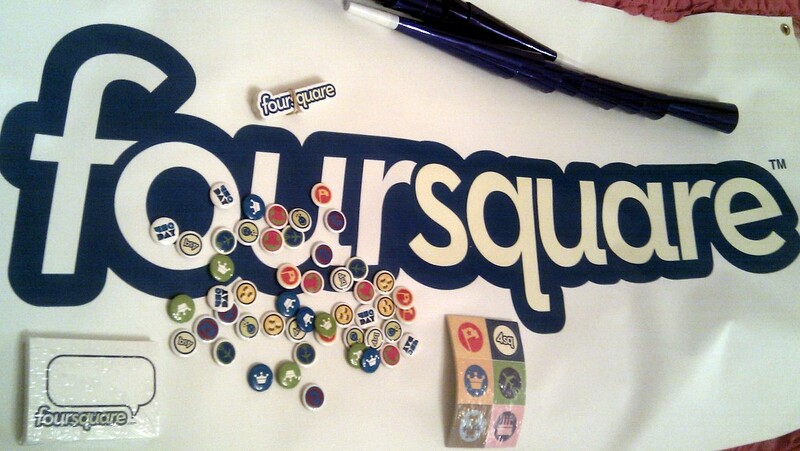 I also set up a Twitter account for coordination of our Foursquare activities in Yerevan - @4sqYerevan. I also filled a form to request a swag from Foursquare, even though in order to receive it, we had to have 50 confirmed participants on the meetup.com page by April 4. Couple of days ago parents called me in the afternoon to say that I've got a package delivery home from Fedex. Turns out it was full of Foursquare goodness! A huge banner, stickers, badges as buttons and other stuff. By the way, Foursquare has been encouraging the meetup organizers to approach our city mayors and ask them to proclaim the April 16 an official Foursquare Day in our cities. Today we learned that mayor Bloomberg Proclaims 4/16 as Foursquare Day in NYC! In case you are interested to learn more about the Foursquare, there's no better chance than coming to the meetup on Saturday, April 16, 19:00 near Cascade. 71 people are already "Attending" according to the FB event and 38 people confirmed participation on Meetup page. 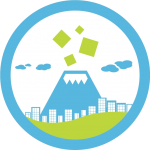 If at least 50 people check in at the same place around the same time, everybody will get the "Swarm" badge for the first time in Armenia! and of course, the special 4sq day 2011 badge too. Follow us on Twitter: http://twitter.com/4sqYerevan and the hashtag #4sqDay. there were 2 "4SQ Day" t-shirts in the package and i reserved one for myself:) who wants the 2nd one? to be honest, I like new service by Google Maps more! Bayc irakanum apres! av ban es anum!